Raouf S. Ghali, President of Hill International’s Project Management Group. "If you cannot find opportunity in the Middle East then it's not the Middle East that has the problem, it's your business model." These are the candid words of Raouf S. Ghali, President of Hill International's Project Management Group. And though he specializes in the project management of large-scale developments, his brash statement refers to businesses from any vertical in the Gulf Corporation Council (GCC) region. Having come out strong on the other side of the 2008 economic downturn, he says, the GCC is poised for a decade of fast growth. And if you can't take advantage of that, he reckons that there's something wrong with your business model. When it comes to talking GCC growth, it is difficult to deride Ghali for his optimism. 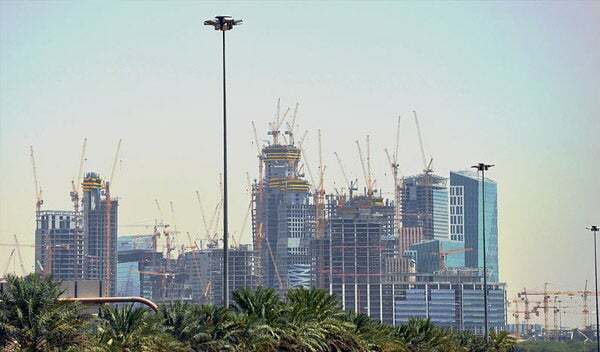 While an International Monetary Fund (IMF) report from May 2014 said that growth is projected to remain tepid in most countries, other bodies have been more confident about the GCC, seen largely as a stable foothold in an otherwise increasingly volatile region. According to a recent report from the Institute of International Finance, growth across the GCC is projected to sit at around 4% in 2014. But that number fails to tell the whole story. The economies of the Middle East have diversified as governments begin to lessen their dependence on crude oil, leaving underdeveloped verticals enormous holes to fill as the rest of the business world plays catch-up with the oil industry. On the ground, there is a sense of quiet optimism about the GCC's prospects, which is giving businesses the confidence to make good on their growth strategies. Admittedly, according to ICAEW's Economic Insight for the Middle East, living standards -- measured by GDP per capita-- in the UAE, Kuwait and Oman have fallen in real terms, despite "rapid" growth over the past five years. This, the report says, is down to a combination of high birth rates and immigrants hoping to take advantage of the opportunities created by economic expansion. But the same report also notes that, for the next decade, economic prospects are more favorable. In his position, Hill International's Ghali is well placed to see the effects that these changes are having. 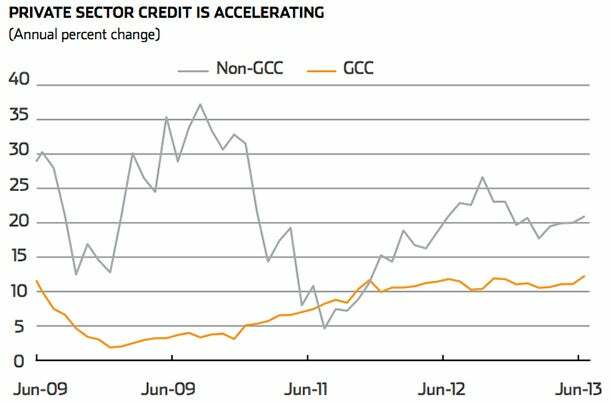 He saw the GCC at its strongest before the economic downturn of 2008-- the end of what he describes as a "cycle." He was the project executive for the Palm Jumeirah in Dubai when it was built in 2006, and he carried on operating through the slower years, waiting for the return to growth. Now, he currently has 30 ongoing assignments around the world. The services he provides include cost control, financial analysis, planning and scheduling, so he makes it his business to keep abreast of the pace of the market. "Like any market, if you look at it, from 1995 or 1997 to what it is in 2014, and just put it on a curve, you'll see that the growth is just tremendous. Now, within that growth, there are little spikes and valleys, and that's normal because, like every other industry in every other market, things are cyclical. We've seen it go through some peaks and valleys, but it's cyclical." Obviously, within the GCC, markets still differ-- what might be true in, say, the UAE won't necessarily hold in Saudi Arabia. Ghali acknowledges this as he gets down to the specifics of each market. Of the six GCC countries, he identifies Qatar, Saudi Arabia and the UAE as the biggest growth markets, though he adds that he is reasonably bullish on growth in Oman, which he describes as a country to watch out for. According to the ICAEW report, Qatar's economy is expected to show the most dramatic improvements over the next decade, at least when measured in GDP per capita. The report notes that, thanks to the low costs of producing natural gas, and the fact that the country will host the 2022 FIFA World Cup, GDP per capita should double between now and 2025. But it's on the large-scale investment side that Qatar should shine. Due to its small population, the country consumes an almost laughably small amount of its GDP --a little less than 20%- allowing more money to be invested. According to the IMF, Qatar's gross natural savings accounted for 59% of GDP in 2013, leaving plenty for the country to invest into other industries as it shuffles towards an eventual hydrocarbon-free future. And in the process, it is industries such as Ghali's (large-scale developments), that have begun to benefit. While pointing towards the investments that Qatar is making in culture, education and sport --"They're going to create a position for themselves within the region, something I don't think exists in the Middle East," he says-- Ghali recognizes that the huge amount of construction, as well as infrastructure investments for the FIFA World Cup, are the main drivers for Qatar's growth. "They're doing it right, they're looking for the expansion. I believe that if you invest enough money in the infrastructure (what history has shown in the last 50 years), the countries that invest in their infrastructures create a good platform for people to come in and do business there," he says. There are other opportunities in Qatar, too, according to Ghali. He outlines the medical research centers, the libraries, and the art galleries as ideal targets for the right businesses. But perhaps one of the biggest opportunities (for anyone in Ghali's line of work, anyway) lies in environmentally friendly mass transport. Like every other GCC country, Ghali says, Qatar is investing heavily in a railway system, and it is being developed to green standards-- perhaps more greenly than you would find in even the United States or Europe. 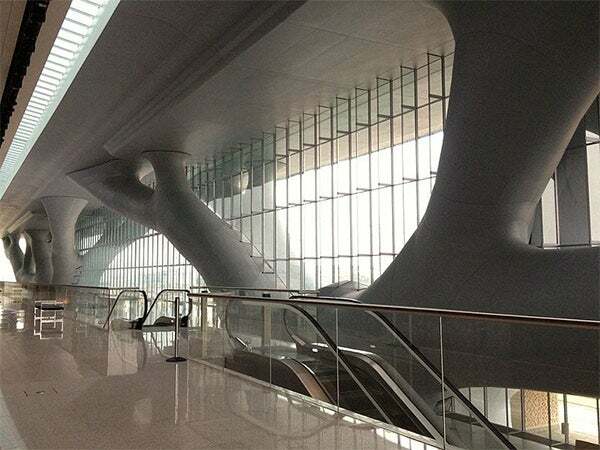 The project of the moment is the Doha Metro, a rapid transit system expected to serve 85 stations across four lines adding up to 211.9 km of rail. Already, 61 stations are under construction, with operations slated to begin in 2019. The Metro is just one small part of Qatar's railway ambitions, and will simply be a component in the larger Qatar Rail Network, which is set to include long- distance high-speed links across the country. Ghali isn't joking when he says that there are huge opportunities to be found in the emirate's mass transit sector -- after all, there's a lot of construction to be done. When it comes to the Kingdom of Saudi Arabia (KSA), things are a little different. As the Gulf's largest economy, with a population of around 30 million according to a 2013 estimate, the country has needs that go above and beyond accommodating growth. Social issues are felt more sourly in KSA than they are in other GCC countries, thanks to wider wealth gaps. This means that, rather than developing large-scale mega-projects as tourist attractions, the Saudi government needs to focus on less glamorous schemes. The point is illustrated by the fact that GDP per capita growth is expected to be slower in Saudi Arabia than in other Gulf countries, particularly over the coming years. The ICAEW report does note that Saudi's national savings amounted to 47.6% of GDP in 2013, but due to the country's large population, this amounts to national savings of just over US$11,000 per capita. This puts KSA's national savings per capita closer to the United States figure of $9,000, rather than the Qatar figure of nearly $55,000. Hence the differences between the two Gulf markets. This is not to say that Saudi Arabia is unfriendly to business. Indeed, according to Ghali, the drive to provide more affordable housing is in itself a big opportunity for people in the development sector. "One of the plans is to make sure that at least the housing needs for all the communities and society sectors are being accommodated, which is creating a big need for housing," he says. "It's a young population, there's a lot of youth in Saudi Arabia, and they're getting married, so there's a great need for it. I think they're accommodating for local needs." Last year, the KSA government launched a new scheme, dubbed "Eskan", to provide housing aid to citizens. King Abdullah pledged that the country would build 500,000 homes thanks to around $67 billion in state funds. The project may have gotten off to a slow start, reportedly caused by sluggish bureaucracies, but Ghali says that things are beginning to pick up, at least in some areas of the country. Of course, Saudi's other main point of investment for a post-oil future lies in religious tourism. Given that the country is home to the center of the Islamic world, Mecca, Saudi Arabia plays host to more than a million visitors embarking on the Hajj every year. One estimate says that more than 1.3 million foreign pilgrims from 188 countries arrived for the Hajj last year 5 , and the country has been working hard to better cater for this annual influx of visitors. Ghali believes that this presents a large opportunity, as there are always high demands in the religious tourism sector. "It's a captive tourism and it's one that is consistently growing as people around the world have the means to come for their pilgrimage. There are always high demands there," he says. And, naturally, he says, the Kingdom still has its fair share of mega-projects, such as the under-construction Kingdom Tower in Jeddah, slated to be the tallest tower in the world with a height of one kilometer. According to estimates, it is being built to the tune of around $1.23 billion, and will be the centerpiece of a larger $20 billion project known as Kingdom City. Ghali asserts that there are business-friendly opportunities here, though he still maintains that the social housing project forms the biggest platform for growth in Saudi Arabia. Elsewhere in the GCC, there are obviously other opportunities to seize, particularly in certain government-funded segments. For example, Ghali asserts that railway development is a strong platform for growth in every GCC country, and not just in Qatar. Aside from the inter-country GCC rail project -to be built at an estimated cost of $15.4 billion-- each council country is developing its own railway system. 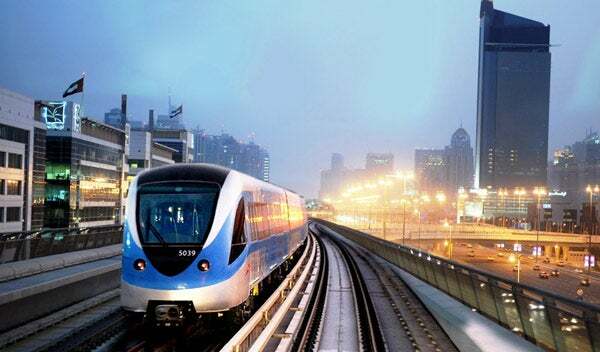 This has already been seen in the UAE with the Dubai Metro, but the country's ambitions don't stop there; the UAE's national railway network, Etihad Rail, is expected to result in huge opportunities for contractors and consultants. Indeed, Ghali notes that the UAE's build-out of major infrastructure projects stands it in good stead for the future. While critics labeled the UAE's economy as unstable in the years following 2008, Ghali reck- ons that growth simply slowed down, with the government seeking to beef up the country's infrastructure in preparation for the next wave of growth. "People say that Dubai stopped. Yes, the real estate market I think had stopped for a while after 2007 or 2008. But what we've seen is, even from 2008 to a year ago, when the real estate market started coming back, Dubai continued working on its infrastructure. The Metro, bridges, roads- all the infrastructure was still going on, which I think was a very wise move because now they're ready for the next expansion," he says. The UAE's business community is now gearing up for a period of rapid growth, Ghali says. What other GCC nation is worth monitoring? Ghali labels Oman as a country to watch, admitting that compared to the UAE or Qatar, Oman's growth curve is nowhere near as sharp. However, he likens projects in the country to low-risk investments, describing the country's prospects as steady, if not quite as exciting. "It's a community that is looking for growth, and continues to look for serving the community. But they don't want to expand and explode the way others do. They have a very solid tourism industry-- they grow it, but they grow it at a pace that they're comfortable with," he says. With such opportunity around, it should be easy to come to terms with Ghali's advice that a business model is flawed if it cannot thrive in the Middle East. 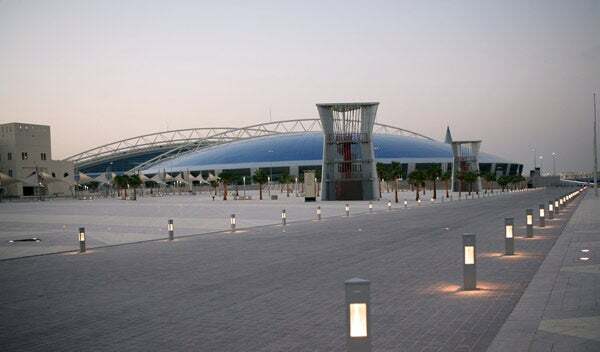 However, there is one elephant in the room; the big opportunities -from the Qatar World Cup developments to the international railway project-- are already being dominated by established players such as Hill International. The question remains whether there is any room left in the market for a new business. According to Ghali, there is always room, and it's that fact that keeps organizations such as his on their toes. "It's difficult to be a new player, but there's always an angle," he asserts. With that in mind, then, it would seem like there is no better time to be involved in the Middle East's burgeoning development sector-- be it real estate or critical infrastructure. As Ghali says, it might not be easy to be enter the market, but if your business model is right, the rewards could be enormous. According to Hill International Raouf Ghali the secret to success when it comes to international expansion is to hire locally. With a career spanning several countries and regions, he explains that, whenever Hill wants to expand into a new geography, hiring local talent is the key to success. This is particularly true when it comes to project managing large developments, he says. The need for fluency in the local language is fundamental to doing business in a foreign country. Successful project management firms hire local people so that language is not a barrier. "As project managers, where we're dealing with contracts, you're dealing with day-to-day site issues, you're dealing with moving and managing risks, it's always done in the local language. If you're in Germany, it has to be in German, and you have to be proficient in German. If you go to France, it's got to be French. It takes a long time to create an organization that works in different countries," he explains. Naturally, the same is true for projects in the Middle East. 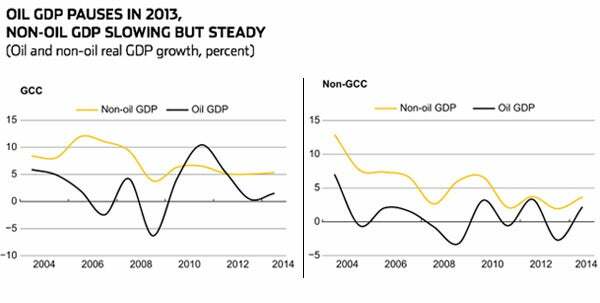 Ghali might be confident that the GCC is set for a decade or so of rapid growth, but what happens when the next economic downturn hits? How can investors protect themselves from the possibility that projects might go under before they've begun, as happened in 2008? While he isn't comfortable speculating on when another bust might occur, Ghali does believe that the GCC has learnt its lessons from the last one, and that things might be a little different the next time around. "Every time we go through one of those cycles, we learn from it, the industry learns from it. We take safeguards. Last time, everybody was over-leveraged, and everybody around the industries allowed that to happen," he says. "It may come to a slowdown- I don't think anybody keeps on going and going until it crashes. There are things that are created during the growth era, and I doubt that the same mistakes and the same exact happenings repeat themselves." While the GCC is considered a relatively safe haven for business in the increasingly volatile wider Middle East, Ghali notes that nowhere is 100% safe from political instability. Investors may be comfortable working in the GCC, he says, but there are very few ways to put in safeguards against political unrest, as the large-scale events that really shape the business landscape are so difficult to predict. "What happens in Brazil could affect somewhere in China; what happens in Cairo can affect something in Dubai. It's become very, very difficult to predict what one event can really create in some other location at a very fast pace. There are knock-on effects and snowball effects, and they're now less controllable than they were before," he says. That said, Ghali notes that the GCC is probably one of the safest when it comes to worrying about political issues. However, he cautions that no one is able to predict disruptive events.